Swiss screw machines or automatics are turning machines with a sliding headstock, guide bushings and cross tools that can produce very small parts up to 1.250" diameter with consistently excellent surface finishes. Star Micronics' machine tools are mainly the so-called. 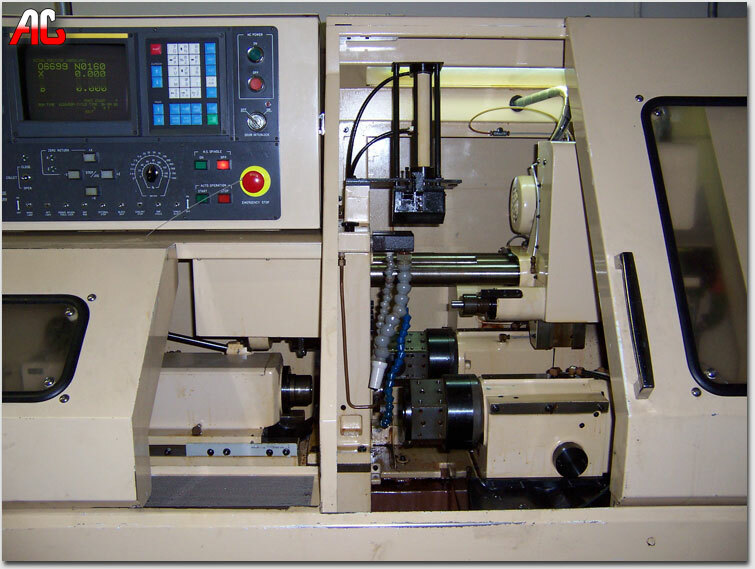 Swiss Type Automatic Lathe (known as Sliding Head-type Automatic Lathe), which is the type suitable for small size precision component processing with high accuracy. This type of machine tools have been originally devised to mass-produce wristwatch components; however, the applications have been extended to the processing of not only automotive components but also digital equipment and medical components in recent years. Most CNC Swiss style lathes today utilize two spindles. The main spindle is used with the guide bushing for the main machining operations. The secondary spindle is located behind the part, aligned on the Z axis. In simple operation it picks up the part as it is cut off (or parted off) and ejects it into a bin, eliminating the need to have an operator manually change each part, as is often the case with standard CNC turning centers. This makes them very efficient, as these machines are capable of fast cycle times, producing simple parts in one operation (I. E. no need for a second machine to finish the part) in as little as 10-15 seconds. This makes them ideal for large production runs of small diameter parts. Visit Star's website to find out more information.